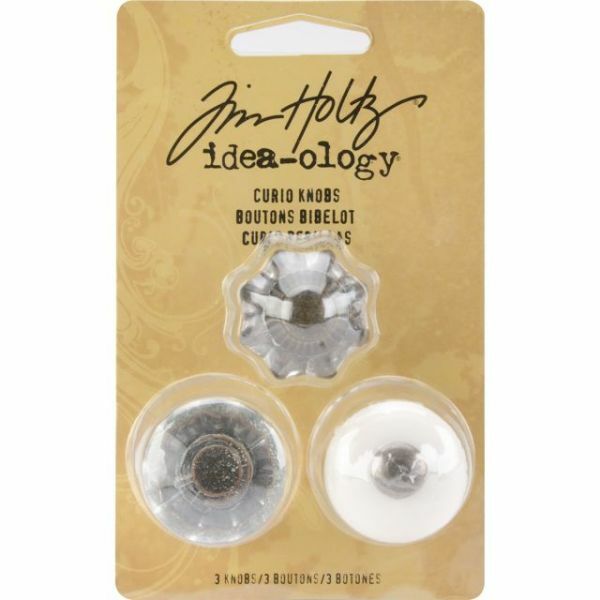 Idea-Ology Curio Knobs 1"X.875" 3/Pkg - ADVANTUS-Tim Holtz Iead-Ology: Curio Knobs. Use these vintage knobs to give an antique look to your scrapbook pages, cards, and other crafts. This package contains three approximately 1x1x3/4in knonsbs: 1 each of 3 designs. Imported.